**** The best staffs ever **** Going to help you anytime when you need !!! Great hostel, very helpful and friendly staff! Would definetly return and recommend. Spent three nights nights here and would be happy to stay more. Staff were really friendly and helpful! The rooms were clean, and the bathroom was spacious and nice to only share with four people. Five minute walk to old town centre, and had a bar next door if your looking for a night out. 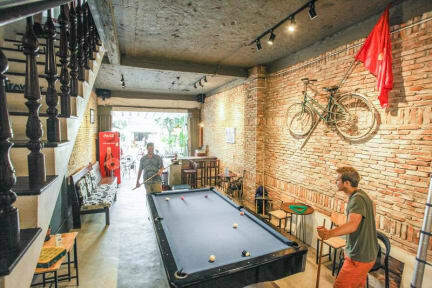 Great hostel, would reccomend! 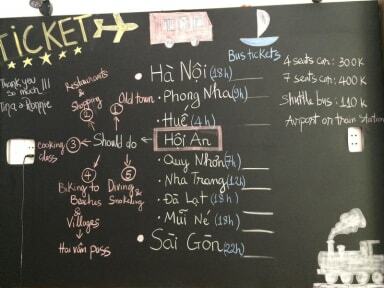 Nice hostel to stay in the center of hoi an. A bit noisy because one of the tribee hostels is next to it. The dorm didn’t get cleaned at the time that we stayed there so in the end the bathroom was a bit of a mess. But in total definitely a nice place to stay and staff was very welcoming. Breakfast was really good as well and even a second choice for hungry people was possible. Clean place, not too rowdy, nice people staying there, pool table, bathroom was nice and very clean, hand soap. Recieptionist spoke some English, but not fluent, sometimes it was hard to communicate things, but otherwise no problems. Had a good stay, would stay again. Stayed in a private room for 3 nights. The room was really nice! The bed was comfy and the room was clean. The room was located in a different building a couple places down from the main hostel, this was ok but meant there wasn’t any atmosphere and had to go over. The location was perfect, only a 10 min walk to the river front and loads of good restaurants around. They have free drinking water, trips you can book, onwards journeys and a laundry facility. Overall good stay. Would recommend. Good location to walk into the city center by foot and also to take a bike to the beach. I had a private room which was very nice and clean. Not easy to socialize with people if you stay in private room, as it is in another building. They will keep cooking you breakfast until your full, however the food was mediocre.